The Sun Room at The Winchester reminds me of a quaint little writer's attic, small and cordoned off from the tight blocks and noise of West Town. It's minimal, earthy, and feminine, and has, of course--a full-service bar. The open loft space sits above the restaurant, and that's where I dined on an assortment of brunch items such as Anson Mills warm grain salad, house arugula quiche, avocado toast, Brussels sprout salad, and deviled eggs. The small brunch items--including the avocado toast and house quiche--were surprisingly bland. The guacamole was poorly seasoned, and even the fierce red chilies on top couldn't save it from the lack of salt. The arugula quiche was soggy and sadly, quite tasteless. 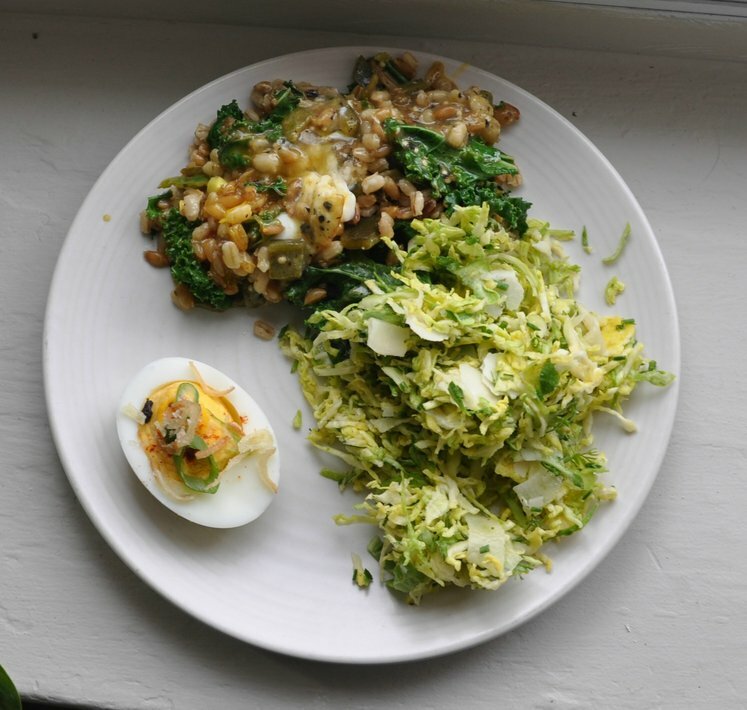 Fortunately, the warm grain salad was much more flavorful--topped with an obligatory egg and a mild tomatillo salsa that doused the dish with just enough acidity and sweetness. The Brussels sprout salad was simple and light--not overdressed and covered with Parmesan, as restaurants typically tend to do. Though I didn't order it, the fried black rice with butternut squash, coconut curry, and fried egg also sounded quite appealing. 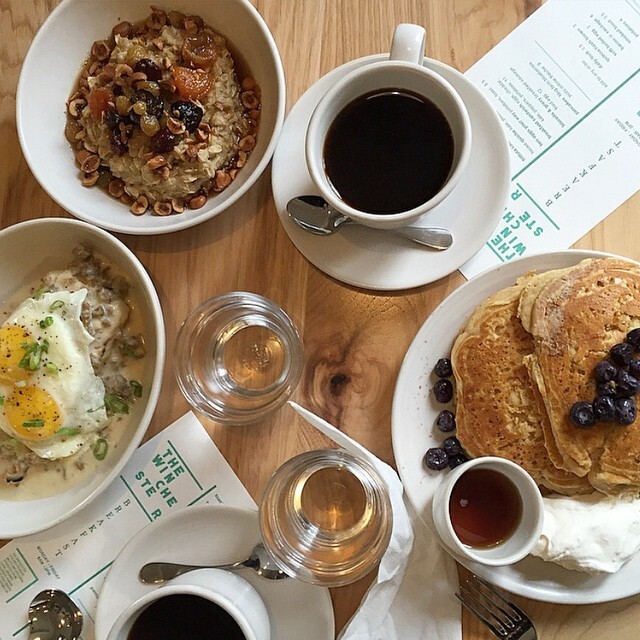 The Winchester is a superb little neighborhood cafe, with a slight European charm. Though I wouldn't recommend going specifically for the food, the ambiance is a great space to share a pleasant meal with friends.